A beautiful thing. 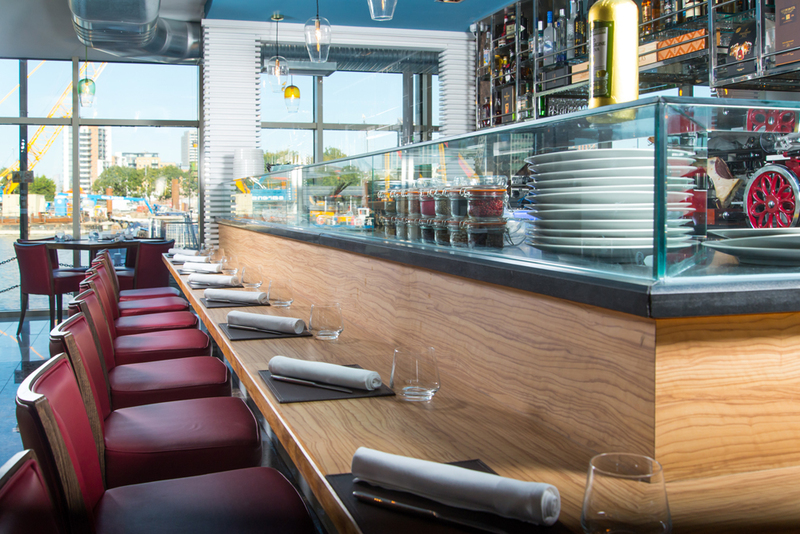 Tucked away from the main shopping and restaurant hub of Canary Wharf, fronting onto a canal lined with super yachts is Bella Cosa. Inside it is, indeed, a beautiful thing, with marble floors, subtle designer styling and a choice of casual dining downstairs at the bar or more formal dining upstairs. It was dark when we arrived so offered little opportunity to see much – but I’m guessing that in the summer this will be a lovely place to dine, with spectacular views out across the canal to the finance district of Docklands. In winter, it’s cosy and comfortable. 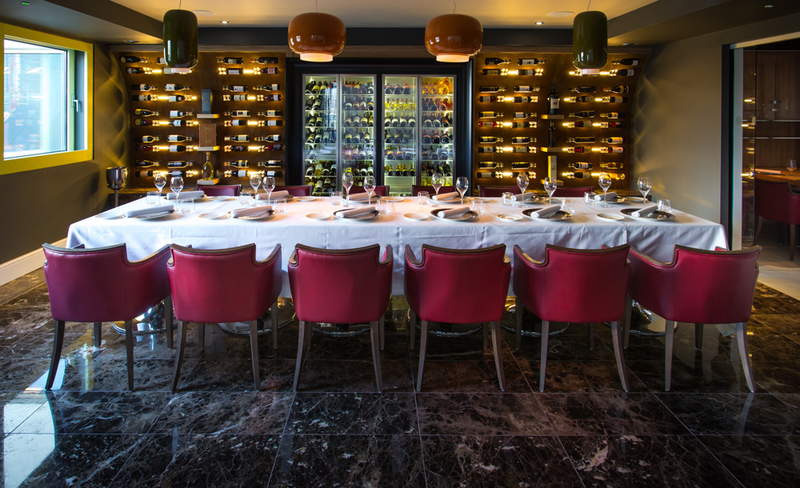 There are two private dining areas, one focussed on a collection of fine wines, the other specialising in craft beers. Now, I’m not a beer drinker, but for those who prefer grain to grape, the idea of what perhaps might be better described as ‘fine’ beers, matched carefully to the food and served with as much attention as a sommelier might pay his finest bottle of Margaux will surely appeal. Meanwhile, after a welcomed glass of prosecco, we made our way to a table upstairs for dinner. 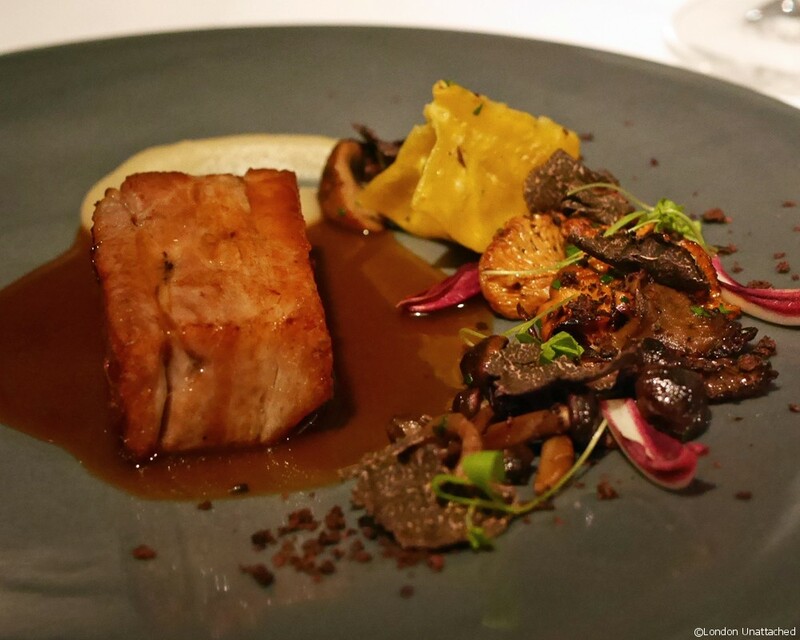 We’d agreed to allow the chef, Kentaro Torii, to serve dishes that he felt best showcased his style of Italian food. And it was definitely a good decision. 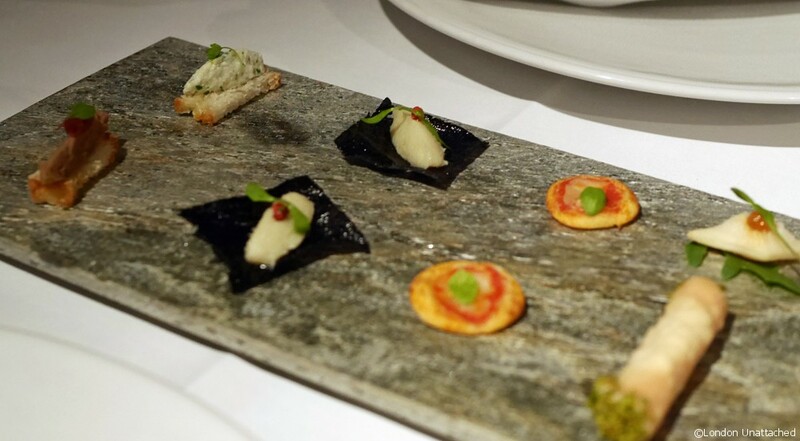 The canapes to start were unremarkable except one rather fine, delicate morsel of stockfish on blackened dried polenta which had both of us asking for more information about the ingredients. Whilst it may sound a little bizarre, the end result was like an Italianate sushi, the blackened polenta a crisp mouthful contrasting with the soft stockfish. 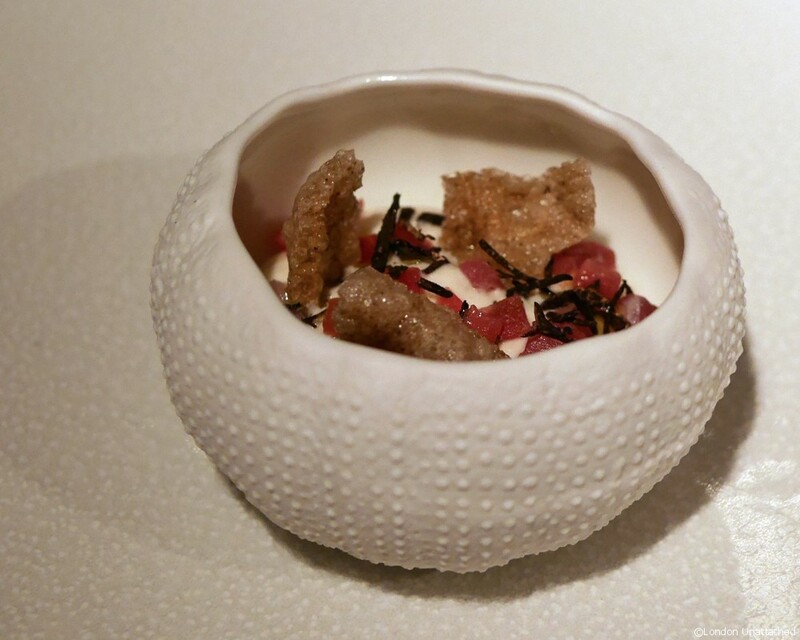 Our amuse bouche of celeriac foam with fresh black truffle, truffle chips and (for me) a little ham, was delicious and perfectly presented in a sea-urchin bowl. We were both impressed at something so dainty and yet so packed with taste and aroma. 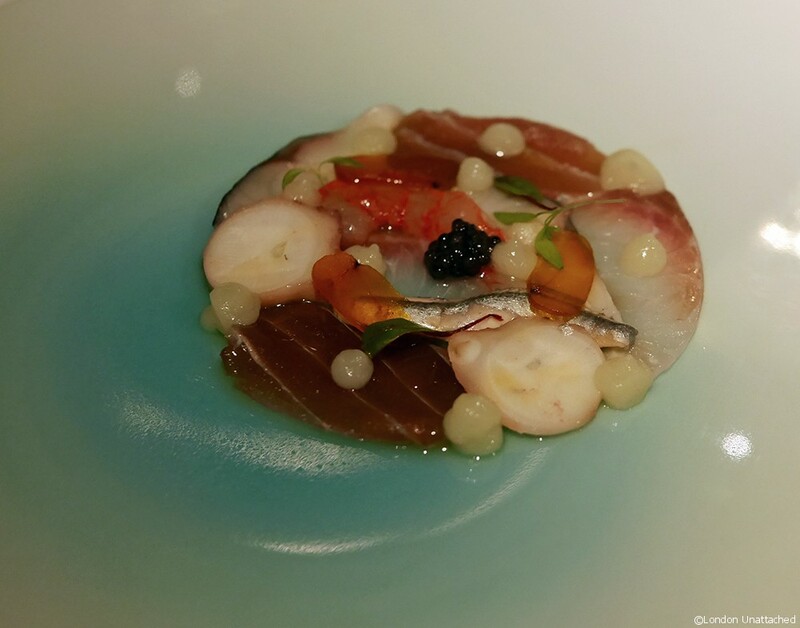 Next, Carpaccio di Mare, a stunning plate which I believe is one of chef Kentaro Torri’s signature dishes. For us, red prawn, tuna, kingfish, anchovy, octopus, mackerel and lemon puree, topped with a little caviar. Immaculate presentation with that kind of styling you’ll only find in top Japanese restaurants, yet with all the flavours of an Italian coastal dish. A certain amount of ‘plate envy’ kicked in at this stage – I could quite easily have hidden the beautiful crockery in my bag and taken it home. Though I doubt I’d have come anywhere close to Kentaro’s cooking. Our carpaccio was matched with a light, acidic wine, a Vigor Passerina. This is an ancient grape variety unique to the white wines of the Marche region of Italy. 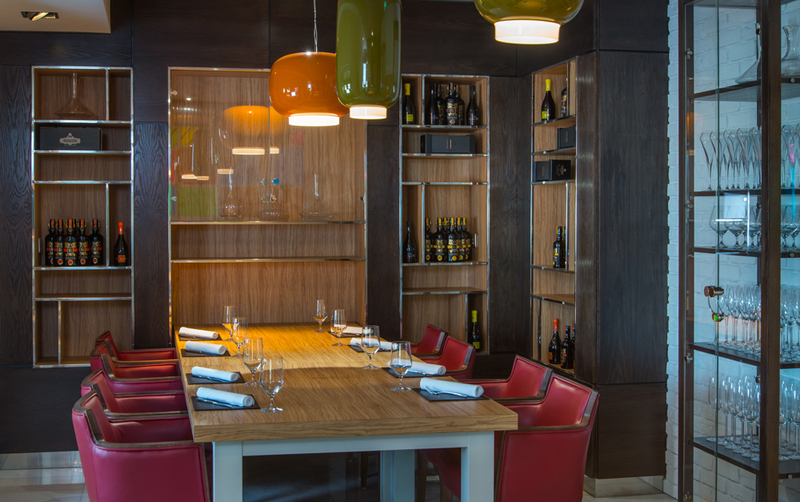 It was selected for us by restaurant manager Daniele Lotto. Passionate about wine and beer, he’s clearly researched the portfolio on offer at Bella Cosa very carefully and throughout the meal offered some excellent pairings. 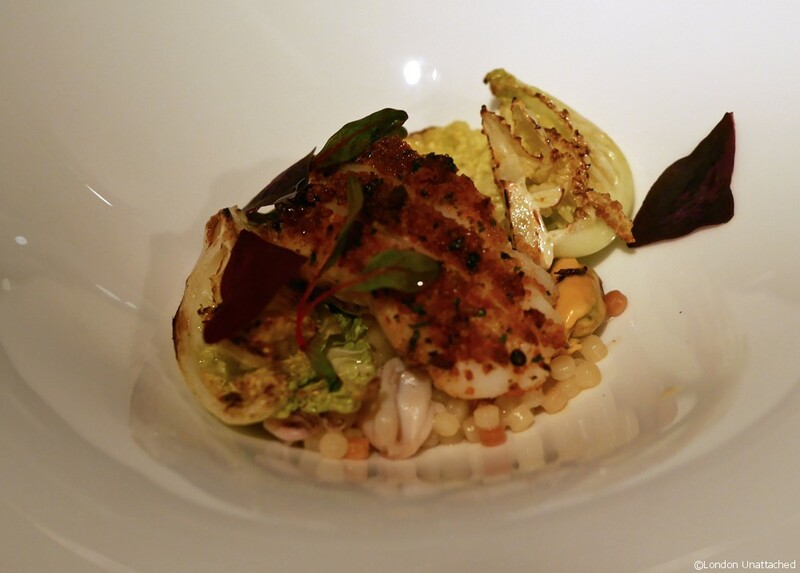 The monkfish which arrived next was perfectly cooked and served with a delicate seafood fregola, shavings of beetroot and some braised cabbage, all topped with a piquant olive and tomato crust. I could just have eaten the fregola – a kind of Sardinian pasta that is bizarrely similar to cous cous. Paired here with a Kaltern Chardonnay from the South Tirol we continued to be impressed. 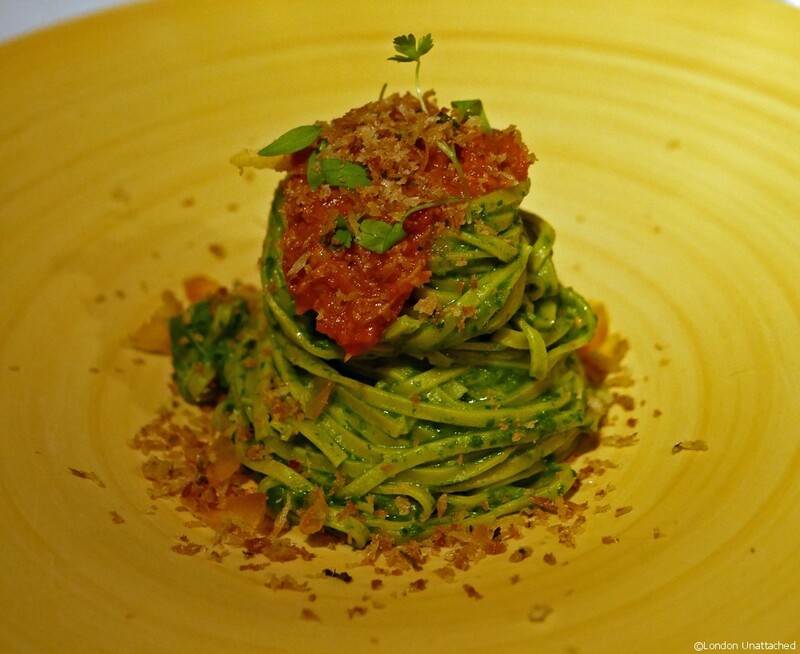 Bella Cosa make all their pasta in-house and our next dish was a great example of that. Tagliolini was heaped with sea urchin, Cornish crab, mullet bottarga and rapini pesto dressed with breadcrumbs and capers. The slightly bitter pesto made a great contrast to the sweet fish and pasta. Next, a meat course for me, while The-Hedonist was served an extra fish dish. I wonder if he was at all envious of my plate of double cooked pork belly (this dish is cooked for 24 hours – first marinaded, then cooked sous vide at 72C, then finally roasted). 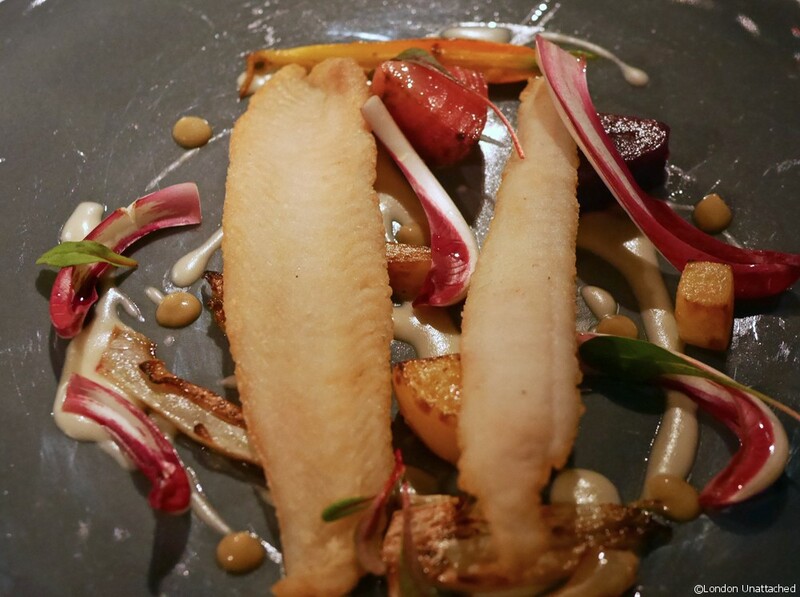 Certainly I wouldn’t have swapped, though he seemed happy enough with his grilled lemon sole served with winter vegetables. 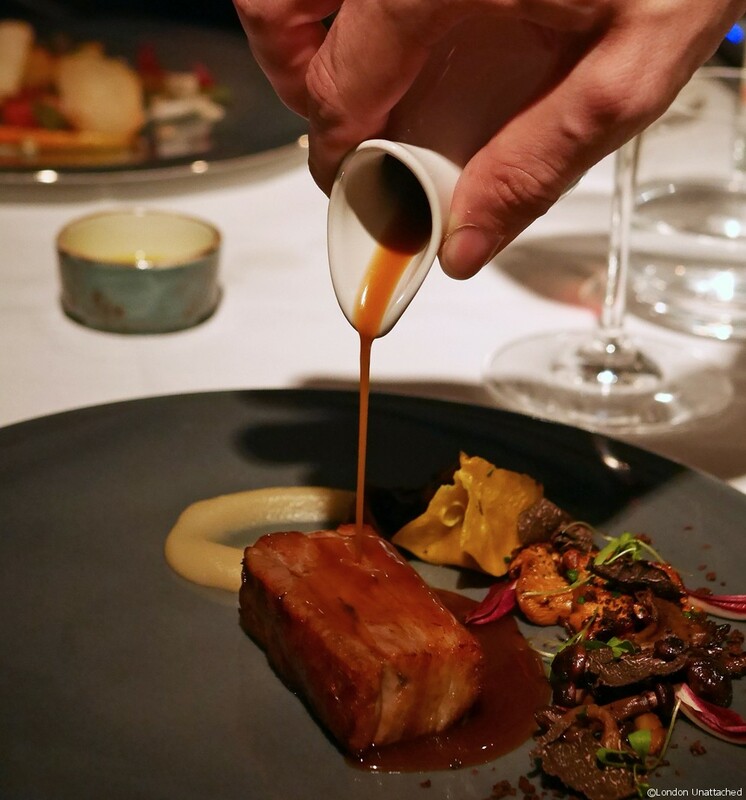 My pork was served with a delicious Chianti Classico Lamole di Lamole 2010 – a delicious deep wine with cherry and red berry notes and a deep red colour. 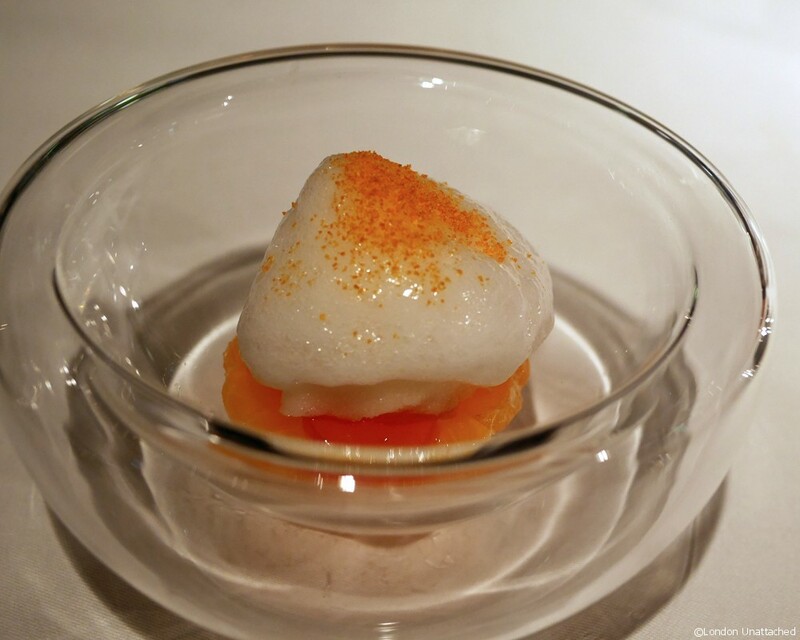 The pre-dessert – a clementine carpaccio with campari jelly, lemon sorbet and prosecco foam was delicious and light, just citrussy enough to work as a perfect palate cleanser. And, to complete the meal, Bella Cosa’s interpretation of Mont Blanc, with their own home-made marrons glace. With this we were served a glass of Ben Rye, Donnafugata. Passito di Pantelleria, a rich sweet wine from a tiny volcanic island close to Sicily. 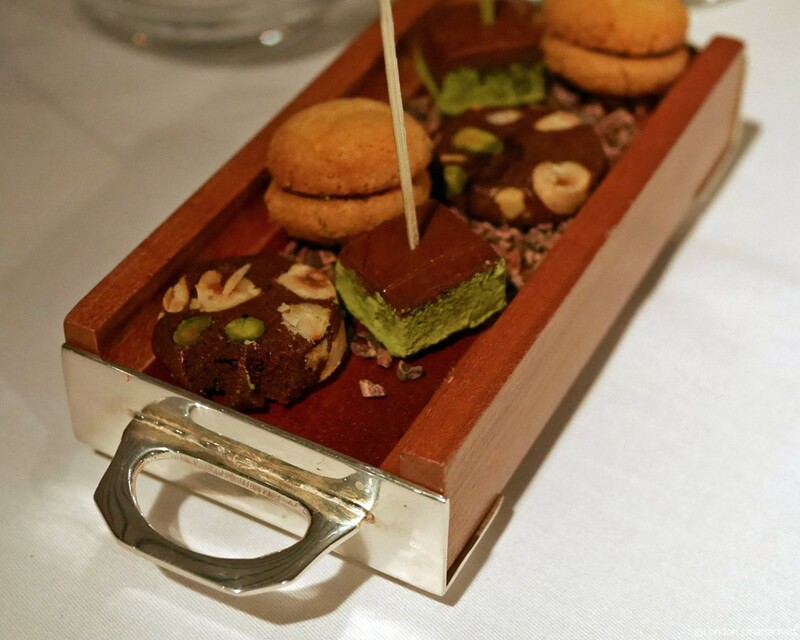 Coffee was served with home made petit fours including a delicate green tea cream with chocolate, a great flavour combination. We both thoroughly enjoyed dining at Bella Cosa. I have to admit I’d gone along with very little in the way of expectation and with a lot of doubts about the concept of an Italian chef from Japan. But all my misgivings were shattered and we were really impressed by the food, the exemplary service and the stylish decor. It’s an impressive team, with the young chef Kentaro Torri supported front of house by Daniele Lotto and Assistant Manager Giacomo Marotti. 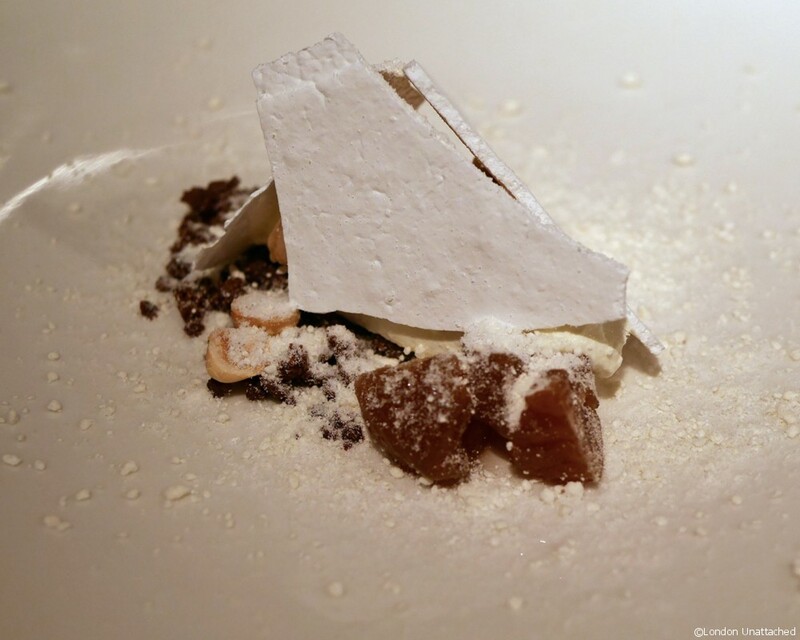 Service had all the style of a Michelin starred restaurant and for the most part the food was faultless. I hope that Bella Cosa becomes a destination restaurant – it certainly has the credentials to do so. The photos are fabulous! You had such a terrific meal. I am pleasantly surprised that this chef worked out so well.